I wonder if he'll go into what terrible parents they were especially to Charles. It was really interesting, well worth watching. Part 2 next week. He certainly didn’t gloss over anything. That's good news. A fire has been put out and he still can get around at leisure. I have to say this whole debacle about the car accident has revealed a general public opinion of Philip that I didn't know he had. 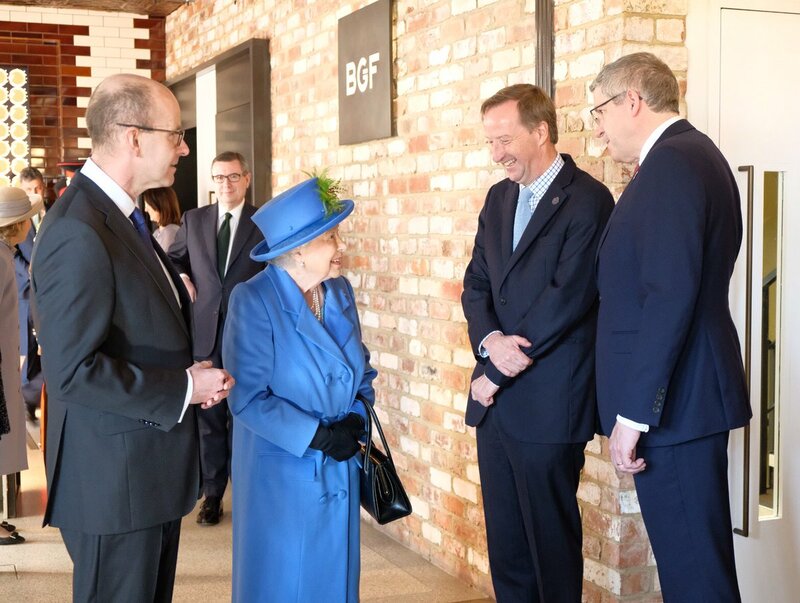 I had always presumed he was one of the least liked members of the brf due to his gaffes, non British background and the Diana conspiracies and so on, but reading the comments on social media has made me realise a lot of people support and like him, and view him as some sort of hero for working until a very late age and establishing the Duke of Edinburgh awards. So if any good is to come out of this incident, it's that public support of Philip has not wavered, but perhaps increased. 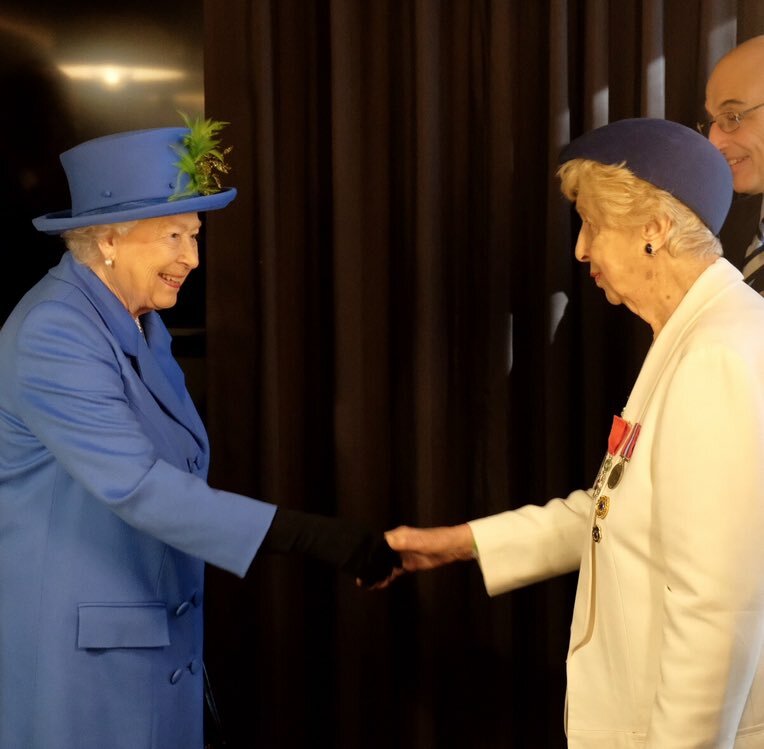 The Queen welcomes The Hon. 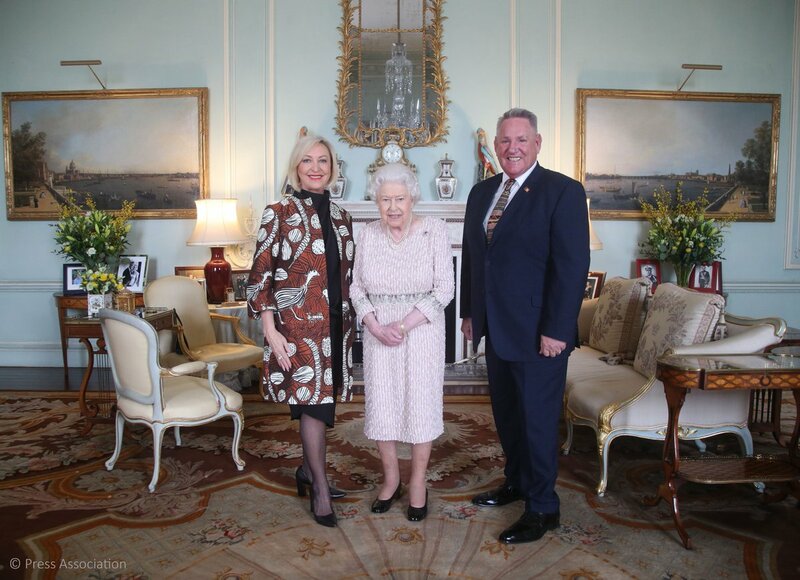 Vicki O'Halloran to Buckingham Palace for a private Audience to mark her appointment as Administrator of the Northern Territory in Australia. 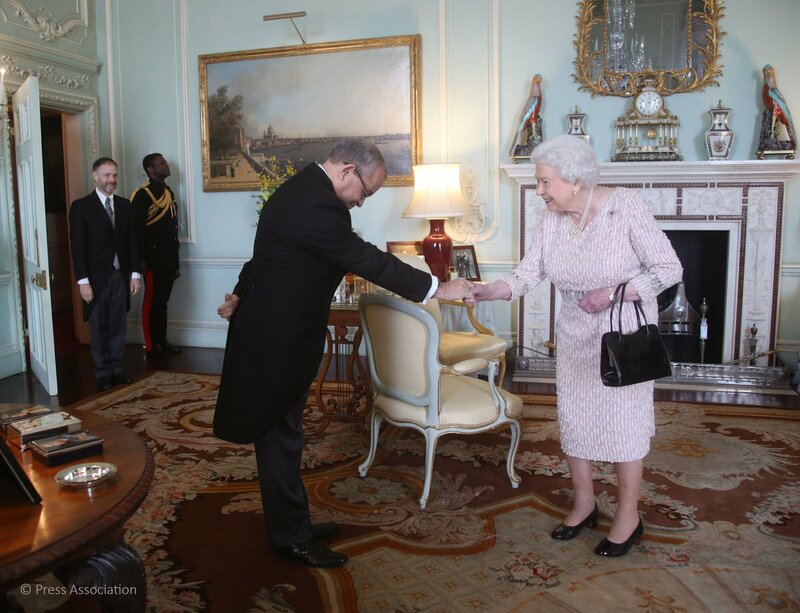 His Excellency Mr. Milton Inniss is greeted by The Queen as he arrives for an Audience to mark his appointment as High Commissioner for Barbados in London. Today @GCHQ tackles the most serious cyber, terrorist, criminal, and state threats as one of Britain’s three intelligence agencies. 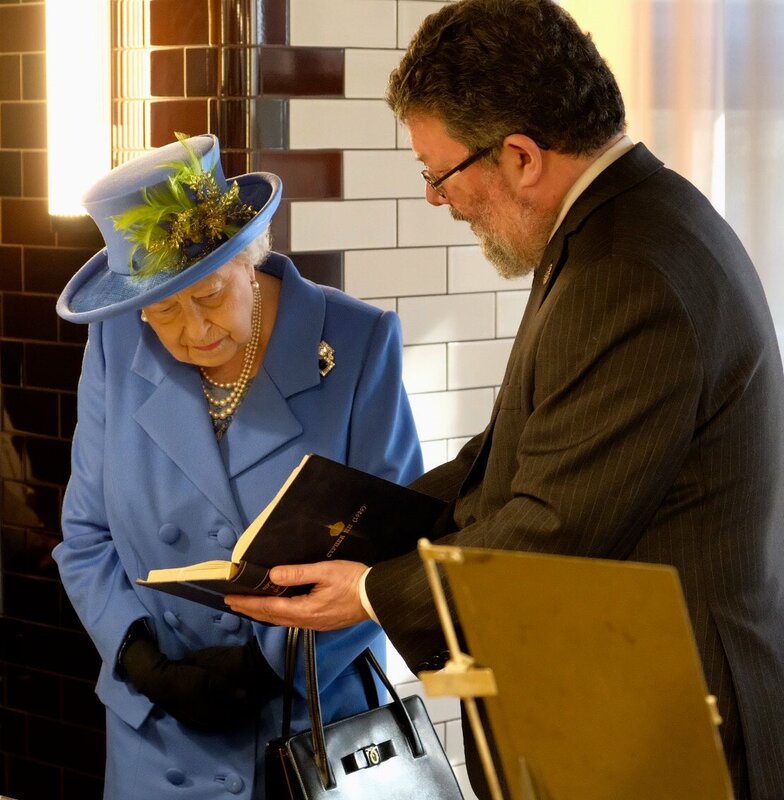 The Queen is shown the 1939 Royal Codebook @GCHQ, used to write coded messages that were exchanged between the Royal Household and Government about Royal visits such as HM’s 1947 visit to South Africa. 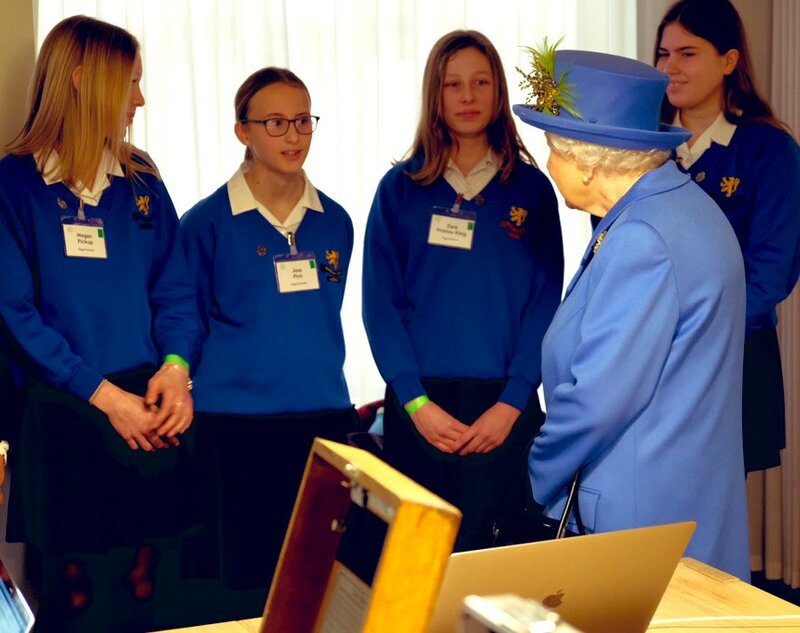 The Queen meets codebreaker Ruth Bourne who worked as a Bombe operator @bletchleypark #WW2 and the current winners of #CyberFirst, @GCHQ code breaking competition for girls aged 12-13. 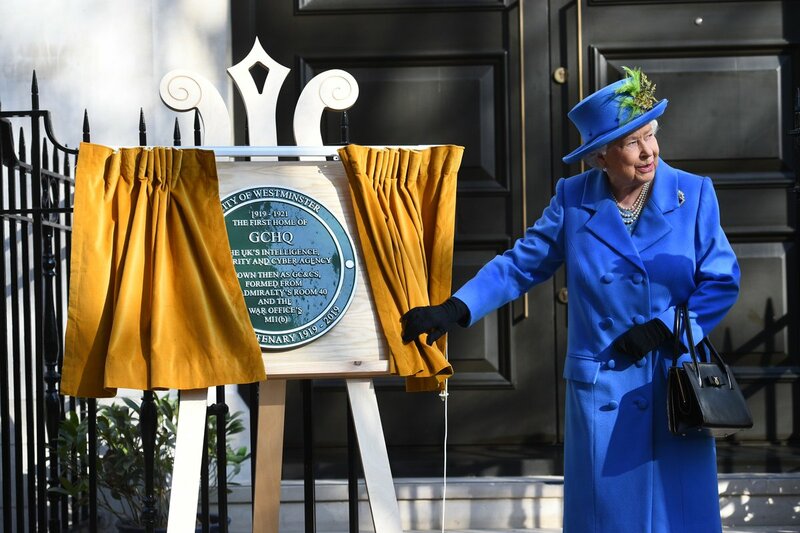 As part of #GCHQ100, Her Majesty unveiled an historic plaque containing two secret, hidden messages - a nod to the code-breaking minds who established @GCHQ one hundred years ago. 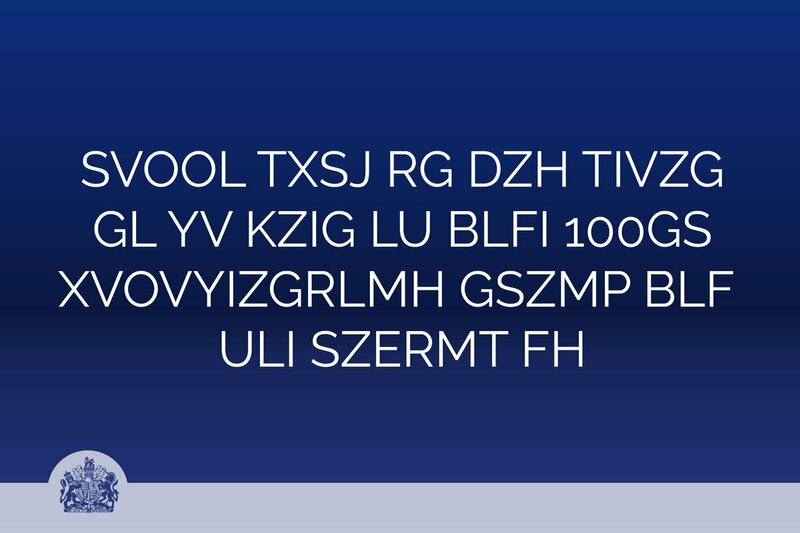 Can you break the code below? 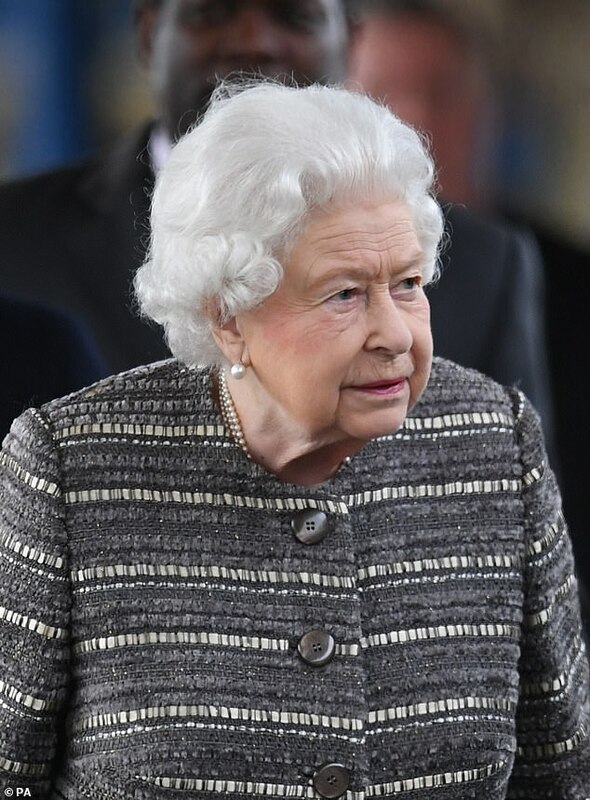 Kate's gran was also one of the codebreakers at Bletchley Park, Kate wrote the foreword for GCHQ's puzzle book. Working on Valentine's day, Phillip is probably banned to the servants quarters after the driving fiasco. 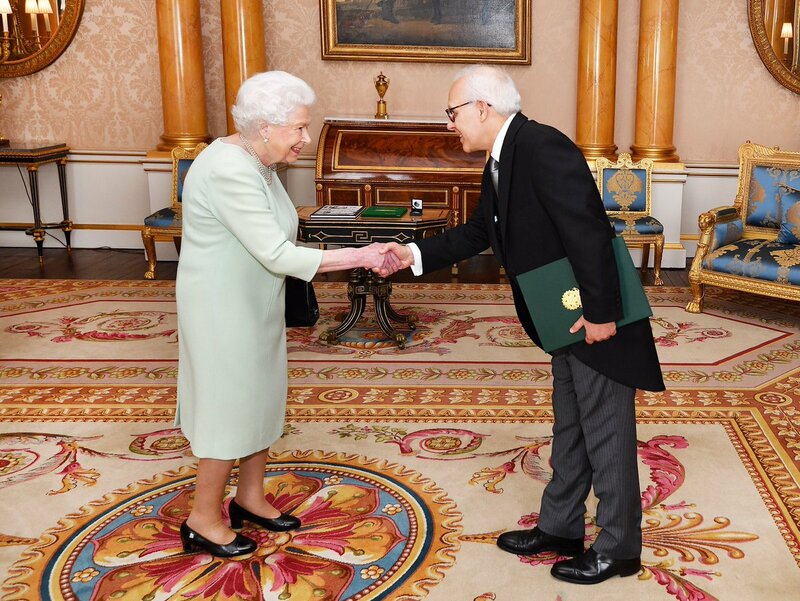 Today, Her Majesty The Queen held an audience with His Excellency Fred Arruda who presented the Letters of Recall of his predecessor and his own Letters of Credence as Ambassador from the Federative Republic of Brazil. 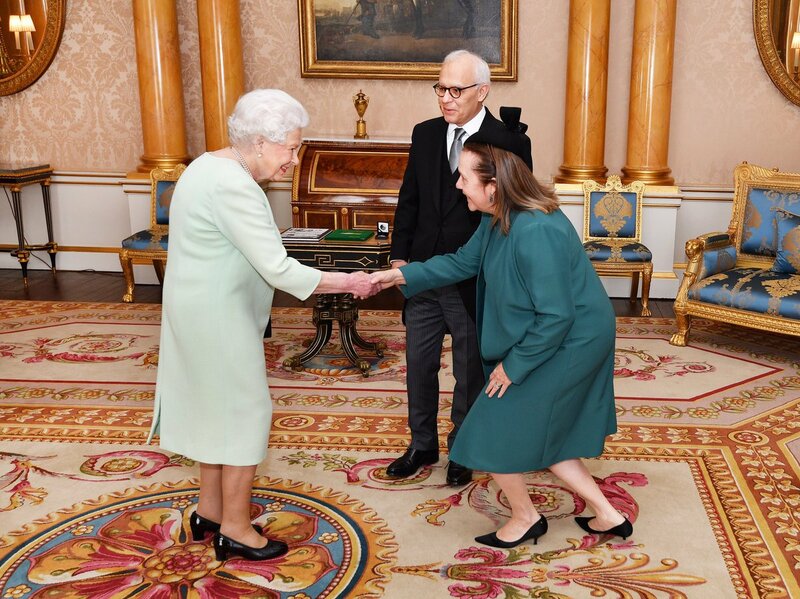 Mrs Lenice de Almeida Nobrega Arruda was also received by Her Majesty. 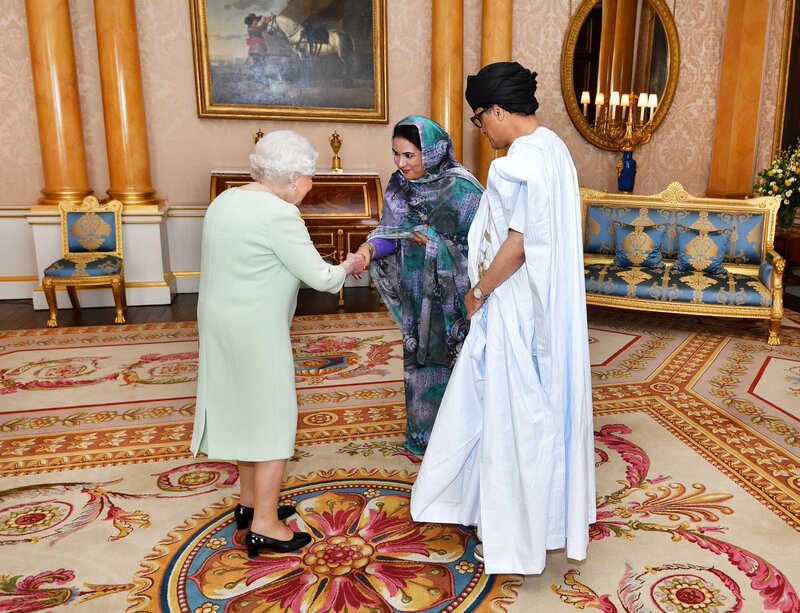 Her Majesty also held an audience with His Excellency Isselkou Ahmed Izid Bin Neye who presented the Letters of Recall of his predecessor and his own Letters of Credence as Ambassador from the Islamic Republic of Mauritania. 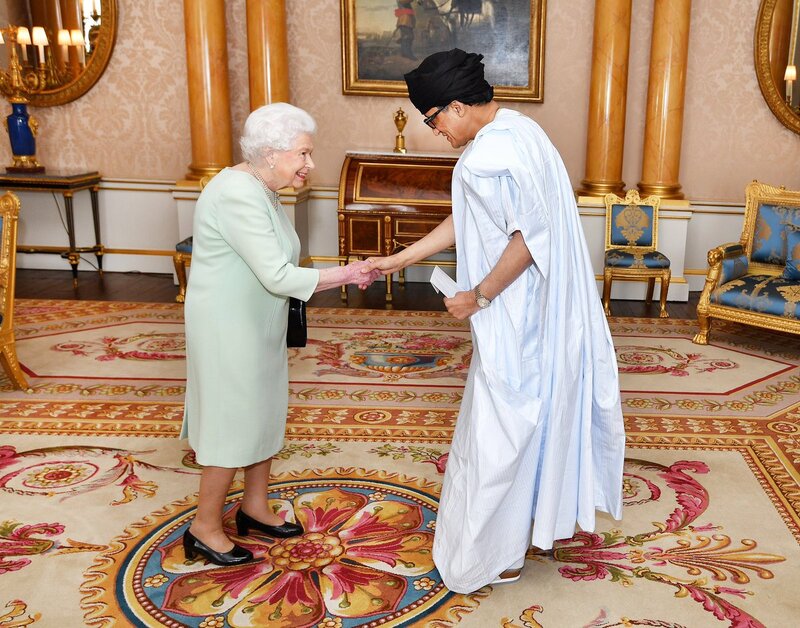 Mrs Mariem Sidi Bouna was also received by The Queen. 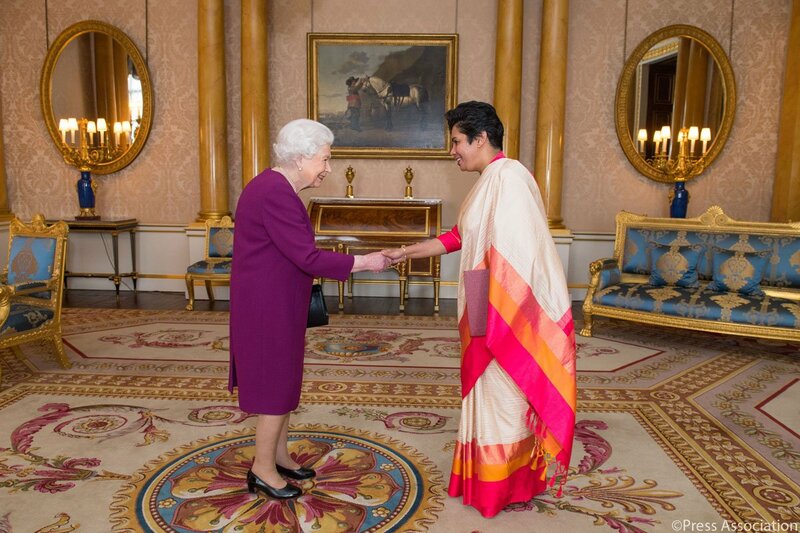 Today during an audience, Her Excellency Ms. Manisha Gunasekara was received by The Queen and presented the Letters of Recall of her predecessor & her own Letters of Credence as Ambassador from the Democratic Socialist Republic of Sri Lanka to the Court of St. James's. 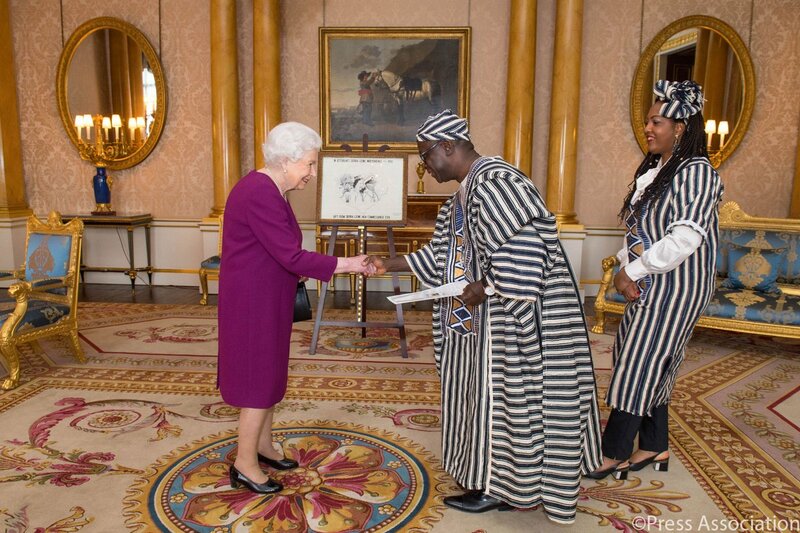 The Queen receives His Excellency Mr. Tamba Lamina in audience, who presented the Letters of Recall of his predecessor and his own Letters of Credence as Ambassador from the Republic of Sierra Leone to the Court of St. James's. 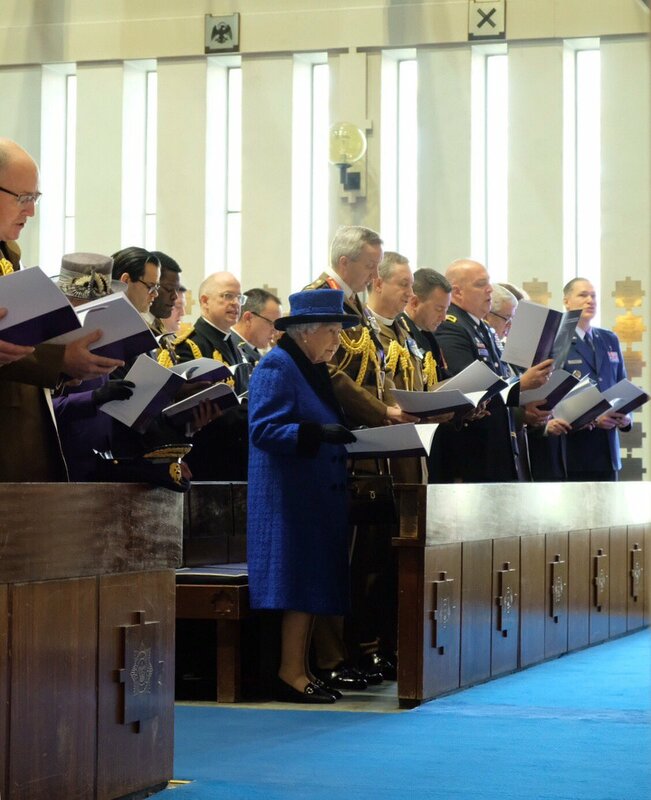 Her Majesty The Queen, today marked the centenary of the granting by King George V of the prefix ‘Royal’ to The Royal Army Chaplains’ Department at The Guards’ Chapel, in London. In 2016-17, the (tax payer funded) Sovereign Grant, which is calculated as a percentage of Crown Estate profits, was £42.8 million. 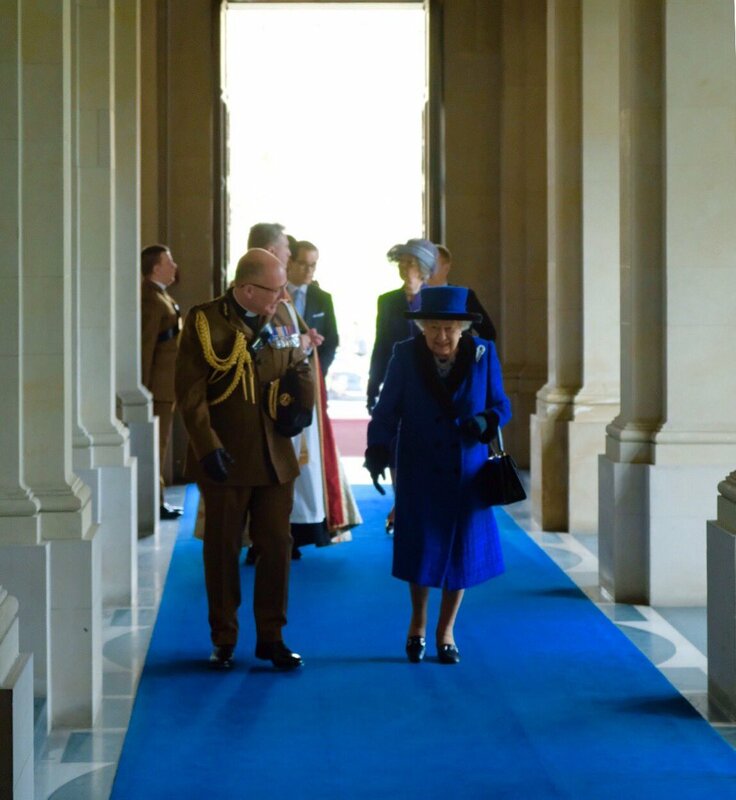 The Queen also received £14.9 million generated from sources including property rental. An additional bill of £16,800 is a drop in the ocean. You would have thought those acting on behalf of the RF would have had better sense than to appeal. I'm a bit worried out this "dear-stalking". Surely they mean "deer-stalking". *giant eye-roll* I know it's the Daily Mail, but this is a headline item. Standards really have dropped in recent years. Don't they employ proof-readers these days? 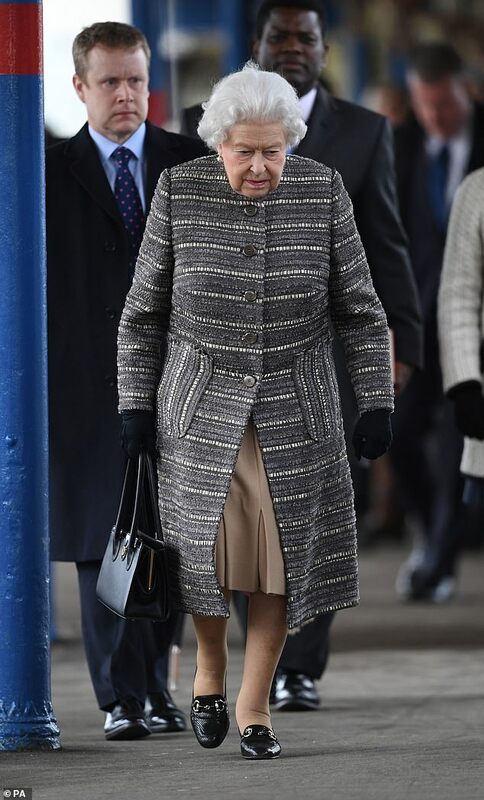 And that £16,800 is petty cash to HM. Appealing against that makes her look a bit unhinged or just plain greedy and/or out of touch. Not sure which is worse. 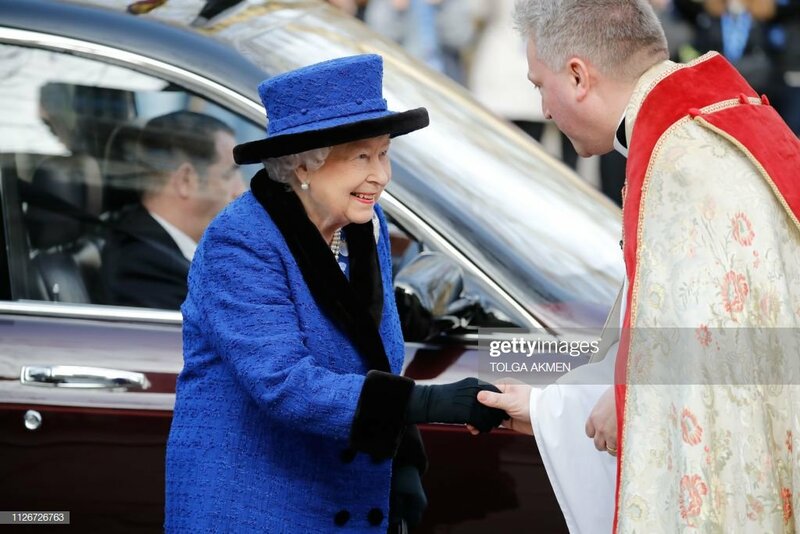 The fact that the queen has hired a new communications or press secretary and then this, I am wondering if she cares more about her image and the image of the monarchy or the actual legacy of herself and the monarchy? Because it seems to be, maybe she doesn't mind or care about all the spending and inappropriate lavish displays of wealth, but cares that it looks bad, not that it IS bad. Because they all do it as royalty because they considered themselves entitled and have the titles to prove it. I am losing respect for her. Ostrich. If only adultery gets her to suggest divorce to couples then we are a long way off. 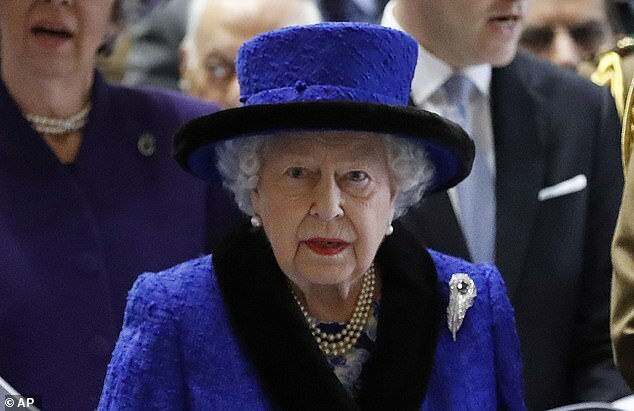 Do you think she cares if the British people are suffering financially or possibly WILL suffer financially if BREXIT occurs? Or does the monarchy just want to save its own hide? Paulina I think you have it on the money. She does. Not. Care. It is about her, and her legacy. Not about duty, or the monarchy itself, which I feel Charles cares more about. 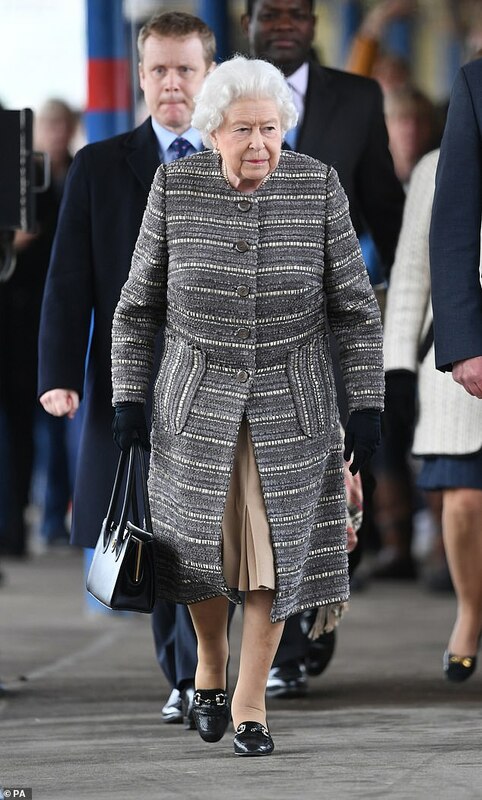 She only cares about being the longest reigning monarch, and her so-called devotion to duty which I don't think reflects the truth in many ways. She sticks her head in the sand, an entirely unefficient head of the family. I mean, she let Philip make all those decisions for Charles that damaged her own child for the rest of his life. I don't think she ever cared about any of that, truthfully. 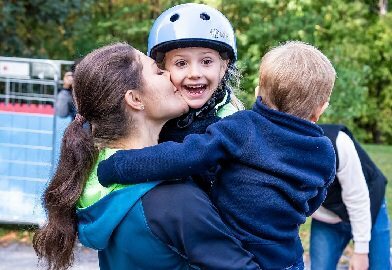 She lets her family do what they want, so her grandsons are spoilt, arrogant fools who married a doormat or a wannabe A-lister. The problem is...is that if Charles doesn't get his own house in order no amount of slimming down will help save this trainwreck.